Home Discourse The Promised Messiah Final Days of the Promised Messiah a.s. 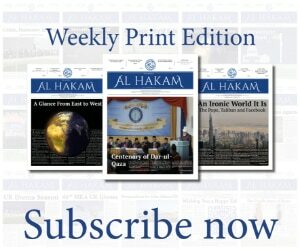 Final Days of the Promised Messiah a.s. There were certain health issues of Hazrat Amma Janra (Nusrat Jehan Begum Sahiba, wife of the Promised Messiahas) that required medical attention. The Promised Messiahas had been planning to travel to Lahore for this purpose, but the plans always got postponed. Hazrat Bhai Abdur Rehman Qadianira, a close companion of the Promised Messiahas, was of the opinion that this postponement might have happened because Huzooras had been receiving revelations that indicated towards his demise happening soon. Hence, he might have thought it was better to remain in Qadian for that moment. However, after the Fajr prayer on 27 April 1908, the Promised Messiahas, along with his family and a delegation of his companions, decided to travel to Lahore. Preparations started immediately; bags were packed and horse-carriages arranged. Accompanying Hazrat Ahmadas and his immediate family were Muhammad Ahsan Amrohi Sahib, Hazrat Maulana Nuruddin Sahibra and some house maids and servants. Huzooras called Hazrat Mufti Muhammad Sadiqra later to join him in Lahore. Hazrat Bhai Abdur Rahman Qadianira was among the many that had walked along Huzoor’sas carriages to the outskirts of Qadian to bid farewell, but he was instructed to join the convoy at the last minute, so he did. Having arrived at Batala, Huzooras stayed at a roadside inn, Sarai Mai Ichra Devi, near the railway station. It took some time for the seats to be reserved and the entourage spent the next day and the day after in this inn at Batala. However, on the third day, Huzoor’sas delegation departed for Lahore by the morning train and arrived at Lahore in the afternoon. Huzooras decided to stay at Khawaja Kamaluddin Sahib’s house on Killianwali Road, adjacent to Islamia College Lahore. 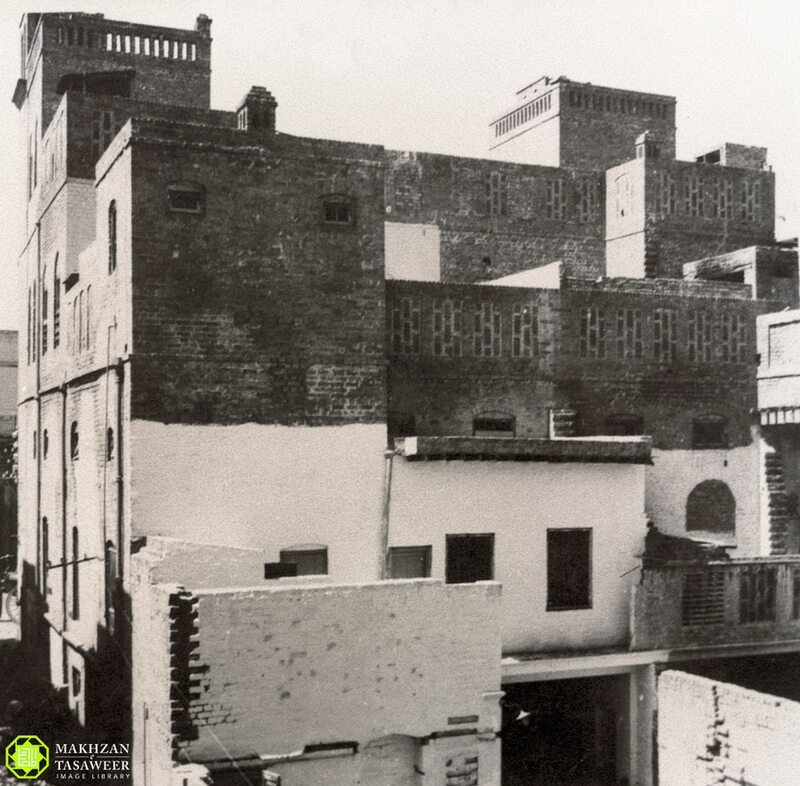 Bhai Ji narrates that Huzooras later moved to Dr Syed Hussain Shah Sahib’s house, which was opposite Khawaja Sahib’s house, and a makeshift wooden bridge was prepared to join the rooftops of the two houses. Congregational prayers would be offered on the rooftop of Khawaja Sahib’s house. The news of Huzoor’sas arrival and stay in Lahore had spread to all parts of the city and people from all ranks of society would visit Huzooras frequently. Huzoor’s schedule was extremely hectic as he would not refuse to meet anyone who came to see him. The opponents of the Jamaat could not bear this attraction of the public towards the Promised Messiahas, so they set up a station opposite Huzoor’sas residence and started distracting people. These mullahs would hurl abuse and shout vulgarity all day, but the Promised Messiahas told his companions to stay quiet and not respond in any way. Those coming visit the Promised Messiahas, which included scholars, thinkers, scientists and members of the public, continued to visit him and remained undeterred by the abusive tactics of the opponents. The lists of visitors on a daily basis were quite long and to cater for his guests, the Promised Messiahas had to temporarily set up a langar (free food facilities) in Lahore. One of these visitors was Shahzada Muhammad Ibrahim of Kabul – a member of the royal family of Kabul and a chief. He had great reverence for the Promised Messiahas and listened to Huzoor’sas words with great regard. He suggested that a formal session be held where the Promised Messiahas may address the audience and get his message across to a larger number of people. The suggestion was taken on board and the dignitaries of Lahore were invited to have dinner with and listen to the teachings of the Promised Messiahas. The date was set for 17 May, but Huzooras suffered an attack of dysentery the night before and it appeared that he might not be able to attend the event. The following morning, however, he received a revelation from Allah saying, “I am standing with my messenger”. This revelation gave the Promised Messiahas the strength to attend the event and address the audience for around two and a half hours. In his address, Hazrat Mirza Ghulam Ahmadas made it clear that he had, for many decades, been receiving revelations from Allah the Almighty and that he had been appointed by Allah to rid the world of its miserable state. Huzooras made it clear that it was in this context that he claimed the title of prophethood. No moment of these days went vacant. The Promised Messiahas was fully occupied in propagating the message of the true Islam; through writings, through word of mouth and through meetings that he held with various people during that stay. Clement Lindley Wragge – the famous meteorologist – met Huzooras during these last days of Huzoor’sas life and asked questions on a variety of topics. The answers he got led him to accepting Islam Ahmadiyyat later. 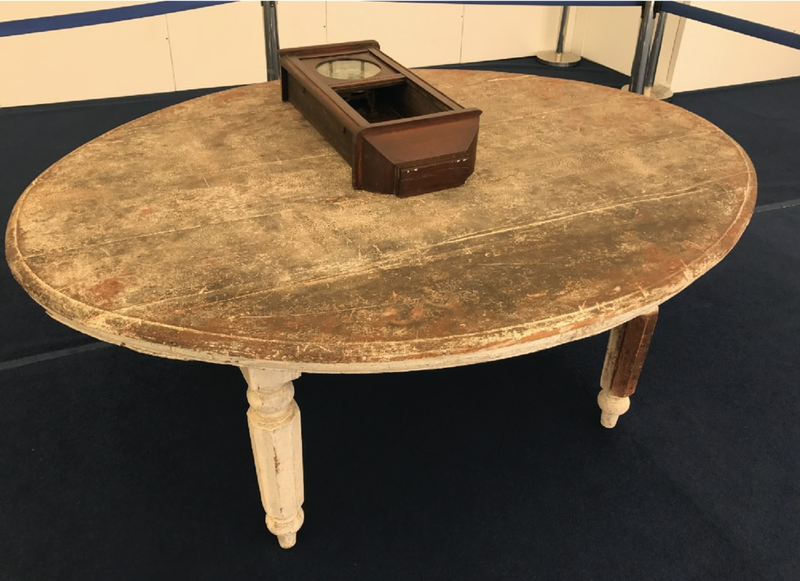 This table and the clock were used by the Promised Messiahas in the days before his demise. They were in the same room where the Promised Messiah passed away in Lahore. Huzooras used the table for writing his last work, Paigham-e-Sulh. It was during these days that the Promised Messiahas penned his very last work titled Paigham-e-Sulh (A Message of Peace). 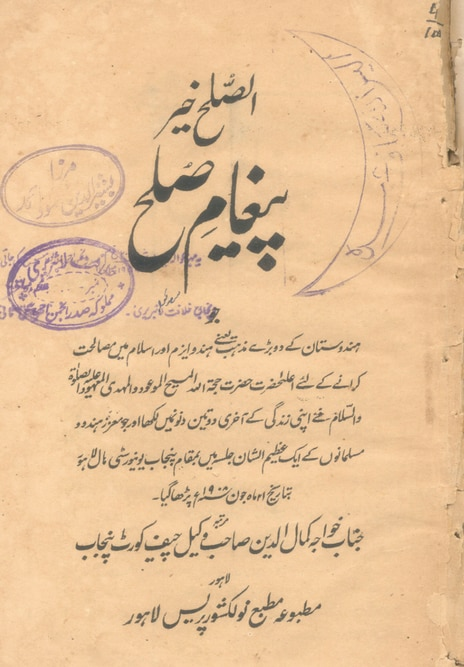 Hazrat Ahmadas had just finished this great work on the evening before his demise (25 May 1908). Having finished writing Paigham-e-Sulh and handing it over to the scribe, the Promised Messiahas went out for an evening stroll in the fresh air. The horse carriage was, as usual, ready and waiting. Huzooras asked Bhai Ji to tell the syce that Huzooras only had money enough for an hour’s ride, so he should take the carriage around to be back in time. The Promised Messiahas had no life-threatening illness, but felt fatigued with the hectic routine of constantly speaking and writing. As he arrived back from the stroll, he fell ill with dysentery. He felt very weak and frail to a point that it became more and more difficult for him to speak. During the night, his weakness worsened. All he would communicate during the night and the early hours of the following morning was his desire to say his Salat, as did his holy master, Hazrat Muhammadsa in his final hours. 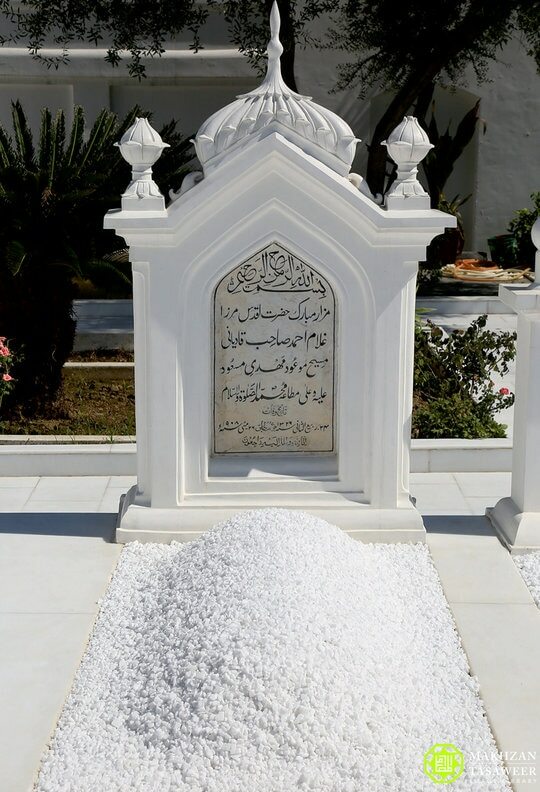 In the morning of 26 May 1908, at around 10 o’clock, his blessed and content soul left his physical body and departed back to Allah the Almighty – the Creator of all the worlds. Surely, to Allah we belong and to Him shall we all return.